Skull n Chains design on back of a zip hoodie. Slogan: "Live Hard. Rock Hard". Rebel & Star emblem on shoulders. 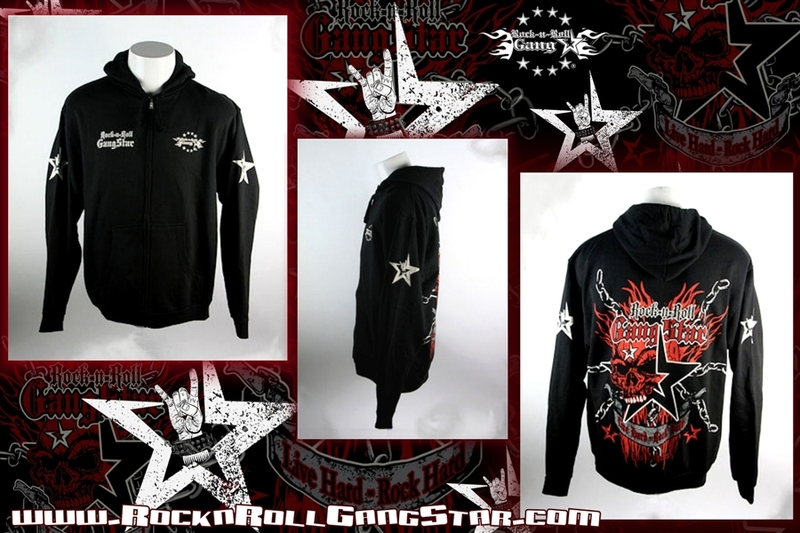 Rock-n-Roll GangStar lettering & logo over right & left chest area. Large back print, all discharge ink totally soft to the touch. Awesome Rockin' artwork! 100% cotton. Color: Black. Out of stock size S.